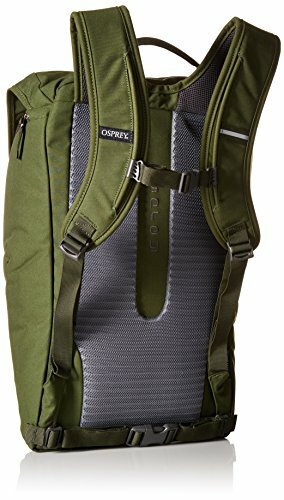 Osprey is a go-to brand for many travelers and outdoorsy folk. Their well-built bags bring you everywhere from scaling the highest mountain to cycling through busy city streets. 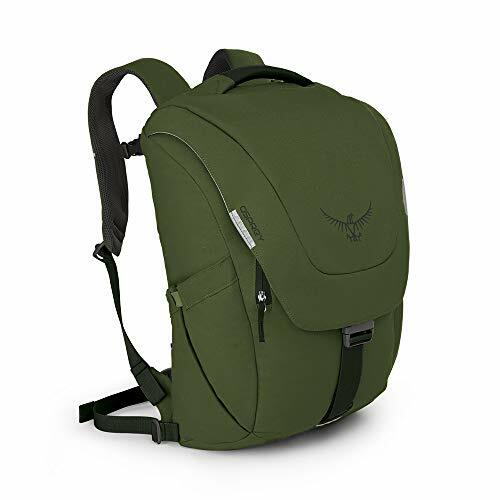 Meant for the active type living a diverse lifestyle, Osprey has created not just excellent travel bags but something even the busiest person can enjoy - laptop backpacks. The great thing about Osprey Laptop Bags is it's like bringing the outdoors to your daily life. That means having all the features that make outdoor packs comfortable, durable, and balanced while being fit and excellent for modern requirements. 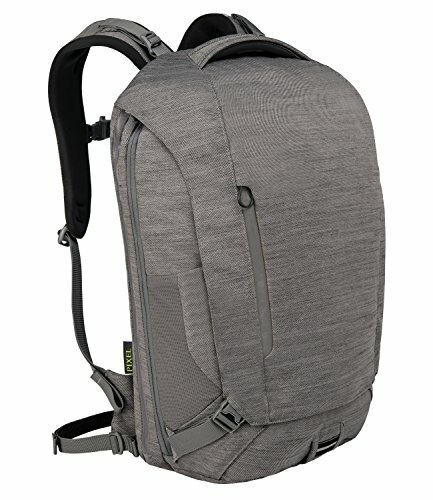 What to Look For In A Laptop Bag? 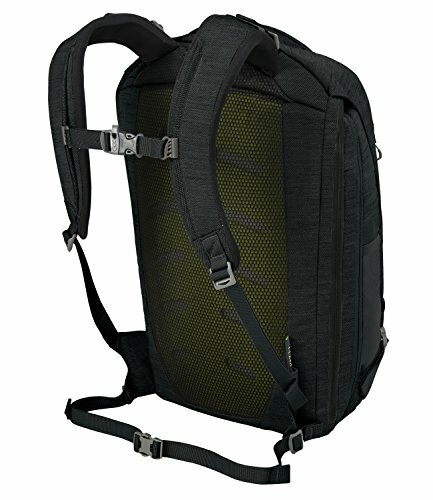 Which Osprey Laptop Backpack Is The Best For You? 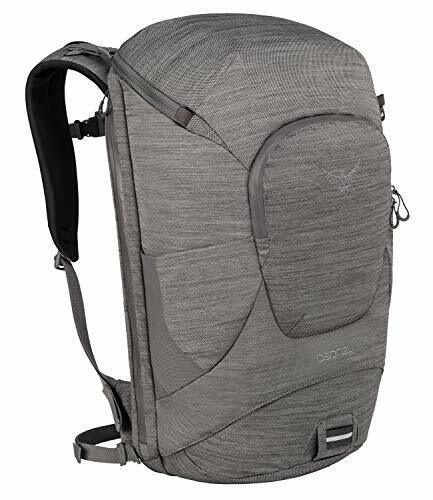 If you're looking for an everyday bag that won't look like everyone else's, the Osprey Men's Flapjack Backpack is a definite favorite. This bag feels and looks like a regular knapsack, but its sleek interior and pockets are made to fit today's world. There are several organization pockets for various-sized items: 7 interior slip, 1 interior zip, 2 exterior pockets, 3 card slots. The padded laptop pocket can fit laptops up to 17 inches. Outside, there is a side pocket for a water bottle and a top slash pockets for items that need to be readily accessible. Night commutes are also made safer with reflective straps. You get a blinker light attachment so you'll be visible to traffic when you're cycling home. The material is very durable but also very soft. The only drawback is the bag has a narrow bottom and won't stand up when put on the floor. The Osprey Pixel Daypack is meant to keep the daily commuter feeling comfortable all day. The NeoSpacer™ shoulder mesh and AirScape™ mesh backpanel keeps your back ventilated and the bag soft and comfortable to carry. Organization is an important feature for any daypack. There is a place for everything you need to carry whether you're a student, a biker, or a professional. Among the many pockets is a padded laptop compartment with direct zip access (for easy airport security checks) and a tablet sleeve. 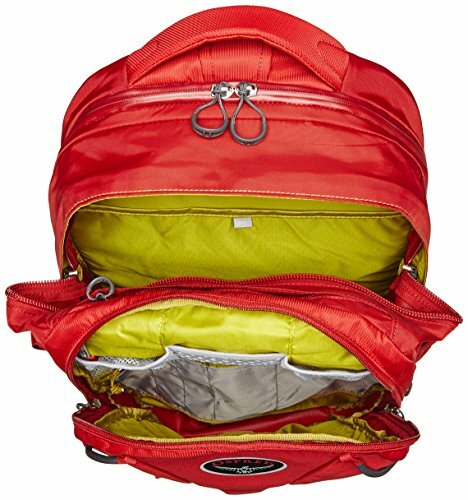 If you feel you need more space, the bag features zippered expansion to add up to 4 liters of additional space. A great feature of this daypack is the Powerhouse - a small pouch that carries extra batteries power cords and phone chargers. It's a separate pouch so that you can just transfer all your necessities if you're switching bags. While it does have useful pockets, some are just poorly placed. There's a bottom external zippered compartment that's almost impossible to use when your pack is filled. In terms of shape, the bottom part is very narrow to follow body contours, but that means you can't place large of heavy items at the bottom of the pack. The Osprey Bitstream Daypack has one big feature, and that's its 30 L capacity. 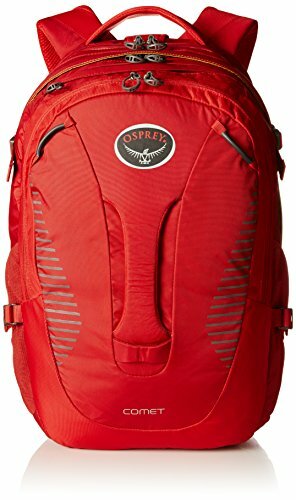 This is the largest pack in Osprey's Portal Series and is capable of hauling a big load while maintaining modern aesthetics fit for the urban jungle. The U-zip opening of the main compartment makes access to your items very easy. It also has a laptop compartment with direct zip access and a tablet sleeve. There are two external side pockets that can fit a water bottle or an umbrella. Don't worry about putting too much stuff in it. The reverse spacermesh AirScape™ backpanel and harness make the pack more than comfortable to carry when fully loaded. A scratch-free pocket keeps your sunglasses or fragile items damage-free. Just like the Pixel pack, the Bitstream also comes with the Powerhouse pouch for all your gadgets and accessories. Despite its size, the laptop compartment can only hold up to 15-inch laptops. It also has a narrow bottom making it difficult to stand up straight when placed on the floor. 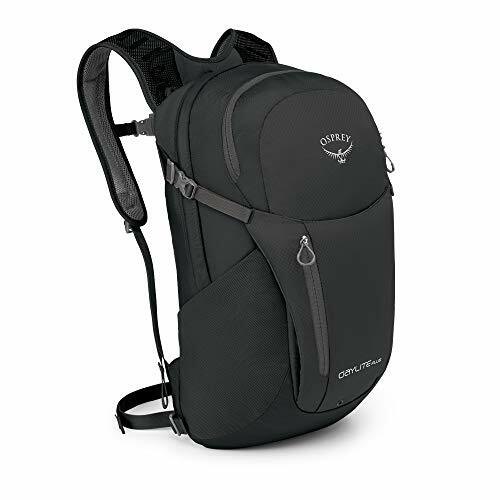 Small and lightweight, this backpack is also designed to attach to a number of Osprey's larger packs and travel bags. On its own, however, you get a lot of functionality fit for your daily commute. The large zipper panel gives you access to the main compartment. In here you have a laptop sleeve, but all of the other pockets are outside. It has two side mesh pockets to hold a water bottle. The mesh-covered die-cut foam backpanel provides both comfort and ventilation for your daily commute. If you're going on a hike, there is a built-in hydration reservoir pocket. Unfortunately, it doesn't seem to be very ready for the many gadgets people carry around nowadays. There are no internal pockets so you'll have to keep your accessories organized some other way. There are no pockets to keep your cards and IDs, so make sure you don't accidentally lose them in the depths of your bag or falling out the exterior pockets. Bring a bit of adventure to your daily life with the Osprey Comet Daypack. 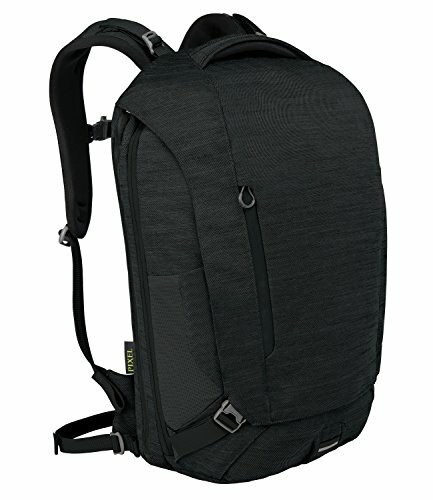 Part of the Active Everyday Series, this backpack is built like a technical pack with all the trimmings needed for the modern urbanite. The front pocket has several slip pockets for accessibility and variability in organization of small items. Here you can also store laptop and gadget accessories stored in mesh pockets. There are also side stretch pockets for more storage such as a water bottle or snacks on the go. The main compartment opens with a zipper and has a dedicated padded laptop and tablet sleeve. It hangs a bit off the bottom so your laptop doesn't bang on the ground when you put your bag down on the floor. It also helps keep the bag stable and balanced when on your back. Since it's also ideal for outdoor activities, it has a blinker light attachment that is also useful for night commutes. 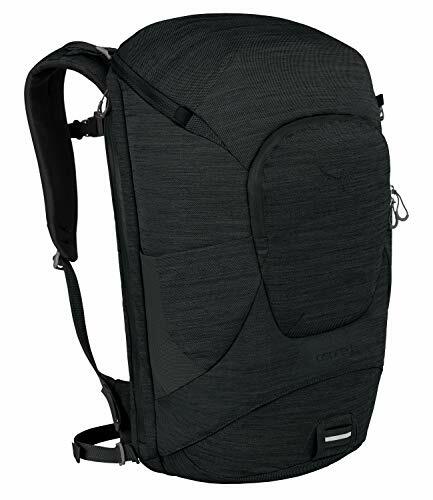 The suspended mesh ventilated backpanel ensures you stay dry no matter how long you have this backpack on your back. There's a bit of a snag with the zippers however as the lining tends to get caught in them. 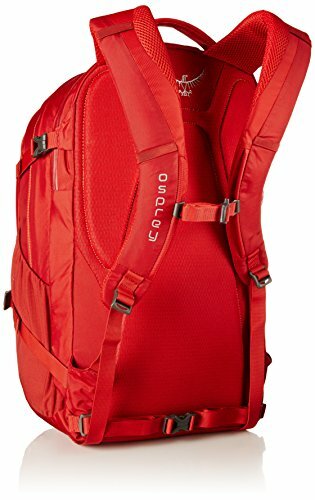 The Osprey backpacks in this review vary from 17 to 30 L capacity. So, what you have to think about is finding a bag that's just right for the amount you carry on a daily basis. It can be dangerous to go too big, just in case you might one day need the space. Likewise, too small can be a problem too, if you suddenly need to carry something else. Personally, I tend to think of my average day out, and then allow a little more space for extras, especially space-taking items like a jacket. Then, go with that size. Note: All the backpacks in this review have dedicated laptop sleeves, so although this will eat into your overall size/capacity a bit, you don't have to think about that when comparing these packs. Pockets and compartments vary greatly with Osprey backpacks. Some have a lot, some don't have many at all. So, have a think about how you normally like to pack your things (organized in dedicated pockets, or just all in one deep pocket), then see whether the pack reviewed works for your kind of needs. Keep in mind that whose with minimal organization tend to be sleeker and compact while those with a lot of pockets tend to be a bit bulkier and heavier (you can't have it all :>). Event if the backpack is huge or has a large capacity, the laptop compartment won't always necessarily be big. Since you're mainly looking for a laptop backpack, make sure the laptop sleeves or compartments are the right size for the laptop you have. Note: The average pack can usually accommodate a 14 inch laptop or so, but that is not always the case. So, keep your eyes on the details before buying. Osprey definitely delivers quality with every bag. It's also great that most packs are dual-purpose and adequate as hiking pack. Ultimately though, the choice of pack will come down to overall size and laptop sleeve size. Active types will definitely love the Comet Daypack. You can use one bag for two completely different occasions but will function quite well whether it's in the city or up in the mountains. The Pixel Daypack is great for those whose daily needs vary. It's a medium-sized and manageable bag that can be expanded if you happen to have to carry more items on some days. This way, you won't have to carry an unnecessarily large bag everyday with a lot of unused space. If you're looking for a high-quality but straightforward and small laptop bag, then the Daylite Plus Pack is for you. It's small and compact and enough to carry your 15" laptop and its accessories. Once you decide on an active adventure, however, it still has the important features fit for a technical pack. 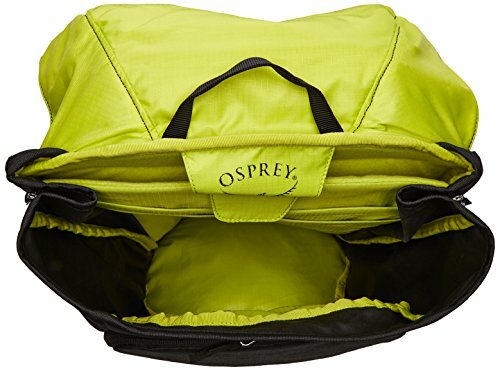 Head on to Amazon to find your very own Osprey Laptop Backpack!